Malaysia is already a food-lover’s paradise, so when the month of Ramadan comes around, the bounty of sumptuous delights available goes to another level. 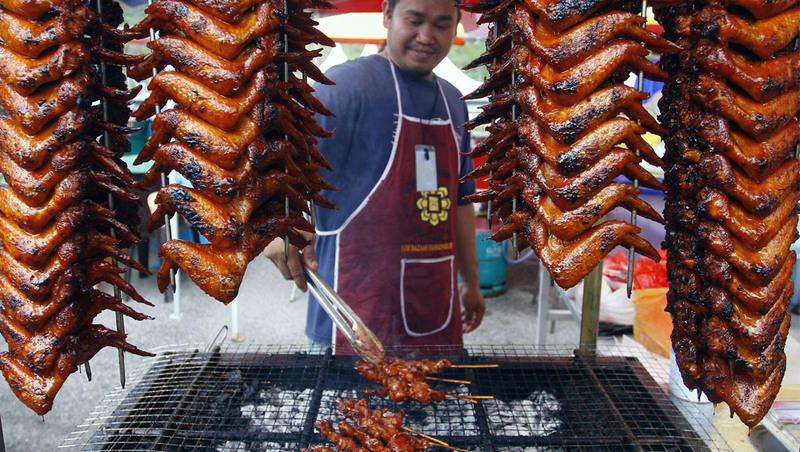 While people patiently waiting to break-fast, Malaysian cities buzz with excitement from early evening onwards at night markets or pasar malam. The stalls here generally open around 3pm and offer typical Malaysian street food, as well as special treats only seen at this time of year. People buying food will wait until they get home and after sun down to enjoy a meal with their family. Bear this in mind if you are exploring the pasar malam as well. The most popular and crowded markets in Kuala Lumpur are Jalan Masjid India and at TTDI. For a more intimate experience, check out the night market in Bangsar, known particularly for its puti priing (rice flour cakes). At all markets you will find typical Ramadan season treats like ketupat, rice filled coconut leaves that are boiled and eaten with peanut gravy orserunding (chicken or beef floss). If you have a sweet tooth, go for dodol, a chewy, sticky treat that comes in three flavours: coconut, durian or pandan. In Penang, go straight to Jalan Makloom. The capital of Malaysian street food won’t disappoint with typical laksa dishes and kuih lapis for dessert. This is a multicoloured layer cake made with tapioca, rice flour and coconut milk. If you’re in Malacca, head to Bazaar Ramadan Mega for tasty Nyonya specialties, a fusion of Malaysian and Peranakan Chinese flavours. Ramadan markets are not just delicious, they are also cheap — perfect for a budget traveller. Yet, if you have the luxury, try the tantalising buka puasabanquets. These smorgasbord seatings at restaurants or hotels offer the perfect feast to celebrate iftar (break of fast). Prices are around RM100 and include rendang curry, a meat dish cooked slowly for hours in coconut milk and spices, and lontong, a coconut soup with lemongrass and bamboo. Another traditional dish for breaking fast is bubur lambuk, a rice porridge without spices. It is common to eat it in the morning, before dawn, as it comforting and easy to digest. If you still have space on the table, try the famed Malaysian delight kek batik. This cake is a mix of biscuits and chocolate powder and resembles the batik print, hence the name. 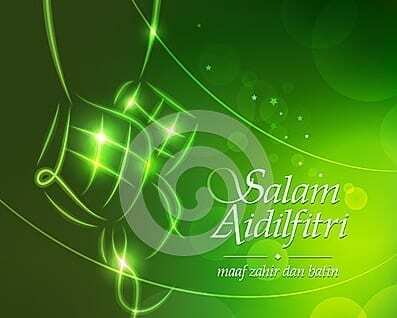 Hari Raya Puasa marks the end of fasting days and it is common for Malaysians to visit their families in their hometowns and celebrate the end of Ramadan with a big feast know as balik kampung. If you are lucky to be invited to one of these gatherings, don’t hesitate to join in as food is the most precious way for Muslims to show their love, generosity and charity, especially during Ramadan. Open houses are such big things, the King, Queen and ministers also throw open their doors at their official residences and cabinets. The biggest one is at the royal palace at Istana Negara. These are very popular, so do expect long queues if you want to divulge in this cultural experience. This entry was posted in Visit Malaysia 大马观光. Bookmark the permalink.